"Homebrewing" a complete amateur station was common in the vacuum tube era, because designs were simpler and a builder could save real dollars over commercial gear. Today, few amateurs build their entire stations. 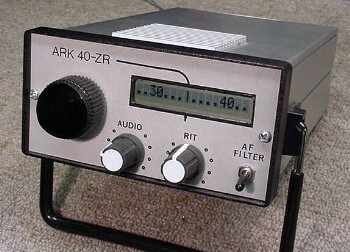 Modern communications radios are designed by teams of engineers and use microprocessors and automated assembly techniques. Today's electronic components are often almost too small to see, much less wire by hand. But even with technology's advance, thousands of amateurs still construct part of their stations. To many of us, building our own ham gear is the most rewarding part of the hobby. 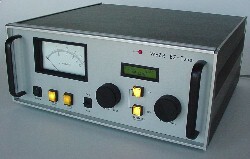 Here is the transmitter that kindled my interest in making my own equipment. Designed and built by Harold Bourell, W6NZ, this rig was my reward for passing my General exam in 1956. Pretty nice present! Harold is gone now, but will be remembered as one of the masters of the homebrew art. 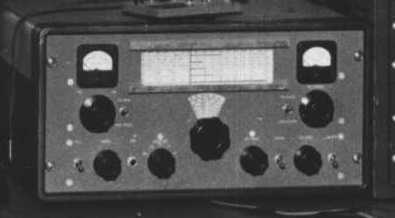 This transmitter was based on the Collins 32V3 AM transmitter. Harold called it the "32V7." Wish I still had it, but it has been gone for forty years. Here is my very first homebrew project, circa 1957. 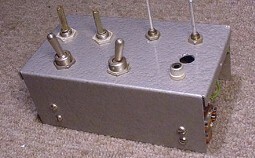 This ugly duckling was an electronic keyer, based on a design from CQ magazine. Damn thing never did work. Maybe someday, when I get a little time. . .